Stunning estate with privacy in Deer Haven! Beautiful main house is flooded with natural light, expansive glass windows, skylights and doors bring the beauty of outdoors in. With 4 bedrooms (and 4 baths! )as well as a Carriage House with loft there is plenty of room for entertaining and guests. The remarkable stone pass through fireplace shared by the kitchen and great room is a must see, accompanied by an additional stone wood fireplace in the lower level family room!Spacious Open plan gives plenty of room while remaining cozy and comfortable. In ground pool with patio, screened porch, and lots of decking make the outdoors an inviting space to spend the days. 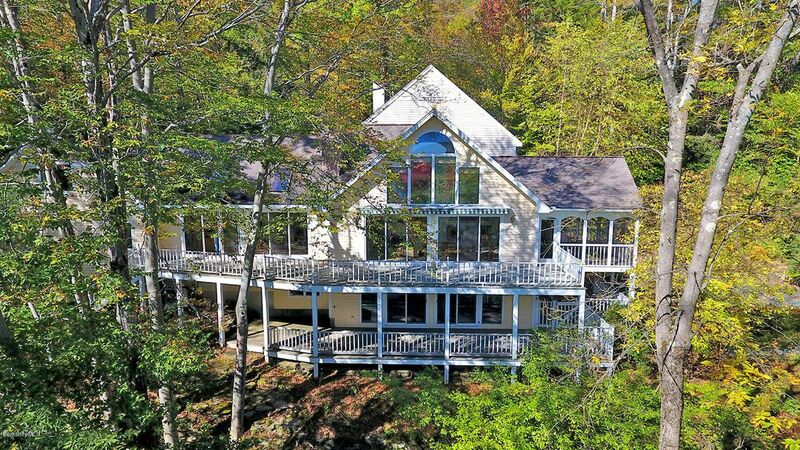 Indoor person or outdoor enthusiast, this house is a must see!